Tarte is becoming a brand I can't get enough of. My collection is slowly growing but the latest product to my collection is the Tarte Clay Stick Foundation. I have been intrigued by stick foundations for a while but I always thought they wouldn't work to stop me getting oily throughout the day. With me being a foundation junkie and becoming a Tarte addict I thought why not give theirs a try first! 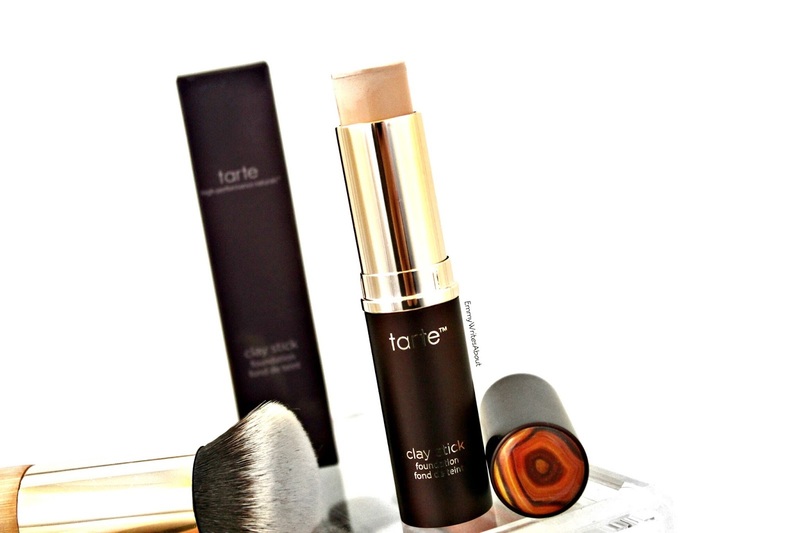 The Tarte Clay Stick comes in twelve shades all with different undertones. 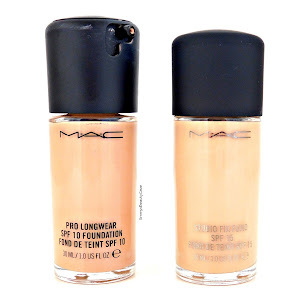 It retails for £35.00 which I did think is quite pricey for a stick foundation as the product goes down quicker than your average liquid foundation. I luckily got mine when they had 25% off plus free international shipping. The packaging is gorgeous as always with Tarte. It comes in a deep brown tube with gold detail and gold font. On top of the lid it has this wood design which adds an extra touch. It is definitely higher end packaging. This Amazonian clay foundation stick is like a nutrition bar for your skin. The full-coverage, powder-to-liquid formula melts into skin while micro-encapsulated powders burst with your body heat to keep you shine & cake-free. This vegan formula features antioxidant vitamins C, E & Amazonian clay, a total skin-balancing powerhouse that hydrates or mattifies depending on your skin type. I went with the shade Light Beige which works perfectly on my skin tone. It has a pink undertone which is exactly what my skin tone is. I often find alot of foundations too yellow and need to use lightening drops. The formula is very creamy and easy to apply. Tarte claim this is a medium-full coverage product. I found applying two stripes across my cheeks, one on my chin and one on my forehead gave light coverage. I applied double the amount and got medium coverage. To get this up to full coverage you will need to use alot of product which I wouldn't recommend unless you would want to run out quickly. The finish this foundation gives is STUNNING! It gives my skin a natural glow without being dewy. As I have extremely oily skin around my nose and chin I do have to set the foundation all over. Even once set with powder it still makes my skin look flawless and natural. It doesn't feel heavy or cakey and blurs my pores really well. I can't believe how fresh looking my skin looks, Makeup products blend easily on top of this, whether they are powder or creams. My skin is clear most of the time but I do sometimes get breakouts on my chin. If the breakout itself is a little dry then this foundation can highlight the dryness but it doesn't highlight any of the dry areas I have on my cheeks. The lasting power really surprised me massively. I get extremely oily on the corners of my nose. I get oily in this area with the majority of foundations and have to re apply powder half way through the day. The first time I wore this was at work, I applied it at 6.30am and first looked in the mirror at 2pm and I wasn't oily at all! I couldn't believe it and honestly thought it was a fluke. I have tried it numerous times since and can say it is INCREDIBLE. I really didn't expect it to work this well. 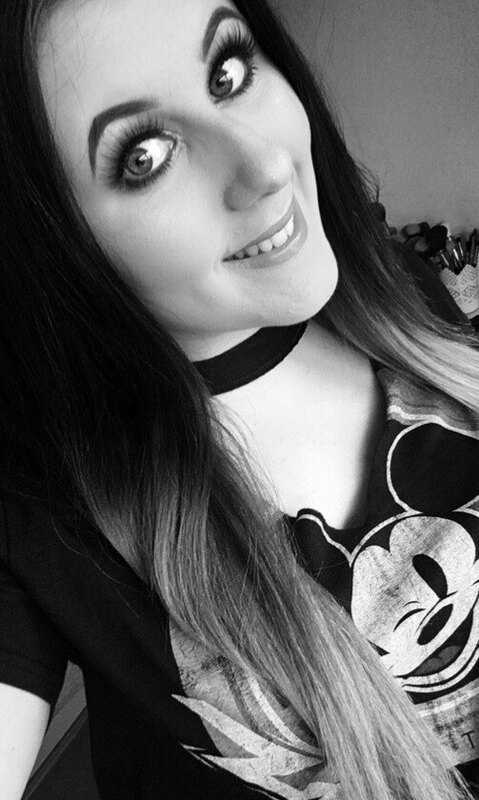 As it is £35.00 it isn't a foundation I use on a daily basis, I use it now and then but I always get so many compliments when I do wear it. I did also pick up the brush that was released with the foundation. It is an angled brush that is more dense. It works so well with the foundation. I have also tried it with a beauty blender and it just sheered out the coverage so much and wasted alot of the product. I can't seem to find this brush on the website now. Overall I am so happy with the Clay Stick Foundation and impressed with how well it works. I definitely want to try other stick foundations! Have you tried a stick foundation?